Once again the CIC's Fan Projects section, the most fan project-y place on Earth, has been updated -- it's now chock full of delicious fan project information. And beef! 46.79% of you think it´s a fine flight model which shouldn´t be changed at all, 29.36% would prefer a more Newtonian (realistic) model, and only 23.85% want a more arcade-like model a la Wing Commander. The WCDC brings to attention this, which was posted to X-Wing: Legacy a few days ago... along with three pretty screenshots. The Wing Commander Total Conversion project is stepping up the pace, with several newly completed ConFed and Kilrathi fighters, including the Hhriss, Grikath, Epee, Darket, Rapier G (was complete; but not scaled or glowed properly), WC4 Banshee, and Gorthrakh (I made this one up). Already done were the Gothri, Jalthi, Dralthi, Salthi, Ralari, Centurion, Ferret, Raptor, Hellcat, Arrow, Longbow, Thunderbolt, Excalibur, Drayman Mk. 2, Talon, and Gladius. In progress and due for completion soon are the Hornet, Scimitar, Gratha, Krant, Strakha Mk. 2, Rapier A, Jalkehi, and the Concordia (big props to Sheldon for salvaging the DXF). Want to be just like Billy, Harry and Flip? Want to have a vaguely Wing Commander related item you can carry around with you? Go search for 'silver florin' on eBay. It'll be even more fun than the Ultima VIII pentagram coin! So begins the third game of CIC/agwc trivia! The rules are identical to the last game, but all scores have been reset to allow everyone a fresh start. The trivia has been running for over three years, and the last game had an impressive 153 competitors. Phillip Langdale scored highest in game 2, answering every question correct for 90 weeks. Peekaboo also played for all 90 weeks. Other trivia veterans can check their final game two scores here. Now, let the games begin... (remember to mail your answers to Chris Reid). Welcome to Week 1 of the latest alt.games.wing-commander/CIC Trivia Game. We play each week. Usually two main questions and one bonus question are posted to alt.games.wing-commander and listed at the CIC each Monday. Please email answers to ChrisReid@wcnews.com or CReid1701@aol.com and do not post directly to the Newsgroup. Be sure to include a name you would like to be known as on the Scoreboard. Have your answers in before this coming Sunday (November 5, 2000) to ensure your answers are recorded. Answers submitted early may be returned and you may be able to fix incorrect answers, time permitting (the earlier the better). Main questions answered correctly are good for 5 points, bonuses good for 3. Everyone is invited to play. Alexander Grober is working on an exciting new fan project... here's what he says about it! My name is Alexander Grober and I'm from Germany. I'm planning a new Wing Commander Project at the moment. 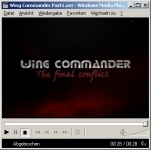 It should be a rendered 3D-movie called "Wing Commander - The final conflict". But now, I'm still writing the storyline. What I can already say is, that this movie is playing after Wing Commander Prophecy !! But there should be a connection with the prophecy... The movie should be approx. 30min long. The problem is, that I won't be able to use people in this movie. So it properly would be a simple 3D spaceflight movie with sound. There are a few things, where I might need help. Perhaps there are some people out there... who could help. - I need more fully textured 3D-Models of Ships. I already downloaded the models of your WC3D-section, but I still need more. The problem is, that I use 3D Studio Max, and I can't use all of your WC3D-models, because there are only a few designed for 3D Studio Max. So if there's anybody out there who could help me - it would be fine !!!! Just wanted to tell you about the project. I send you two pics of the animated starting logo. As an update from yesterday, Red Planet is currently available in stores -- thanks to everyone who wrote in. Bargib of Lancers Reactor answered the call and sent a picture of RubberEagle's new Panther for StarLancer... Grab it here! Haven't done this in a long time... a few minor things. Query: has anyone been able to find a copy of Peter Telep's Red Planet offline? I haven't seen it anywhere besides Amazon. Thanks to the guys over at the Terran Confederation Command for running a first rate opening party. A good time was had by all... of the CIC staff. To those of you entering Kilrathi names: please read the original thread first -- which is to say, don't enter Ralgha nar Hhallas. please. Remember to watch tomorrow for an all new game of Wing Commander trivia! And have a good dumb-time-change day! Lancers Reactor has posted a model of Prophecy's F-108A Panther class B Space Superiority Fighter for use with Starlancer. The model was created by RubberEagle. If anyone out there gets it set up, send me a screenshot for the news and I'll be your friend forever. The Terran Confederation Command, a Wing Commander RPG club, is having their grand opening tonight on IRC! Drop by #tcs-alabama on the DALNet tonight at 6 PM EST for the party. [Update: the IRC channel is #tcs-alabama, not #TCC, as previously announced]. The CIC's Fan Projects section has been remodelled! 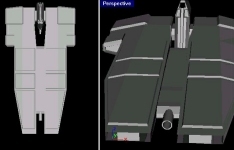 It's full of information on the myriad of fan-made Wing Commander projects in the works... including some you probably didn't remember existed. 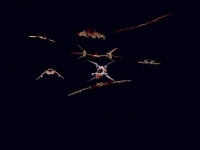 I have recently received almost all of the Wing commander 1 & 2 ships so my Freespace 2 TC is almost finished! I am hoping for a release in about a week so just hold on. 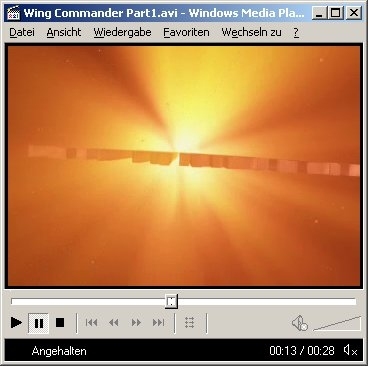 Just wanted to let you all know that I've finished recording and encoding all 13 episodes of Wing Commander Academy in the stunningly incredible DivX;-) format... and the result is really, really nice. We hope to have the episodes -- which range from 60 to 70 megs each -- available for download in the coming week. The folks over at Wing Commander Invasion, a mod for Star Trek Armada, posted this rendering of a new Midway variant created by SainT especially for their game. Tres cool! 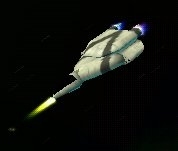 Those hard-working modders over at Unknown Enemy have released a trio of new ships for download: the Border Worlds shuttle, the KC-227 Salthi class light fighter and the BWS Intrepid (Durango class heavy destroyer). Planet Jump Gate (they have us covered) is running a survey... "If you could, would you change the Jumpgate flight model?". One of the options is 'WC-style". If you're interested in this game (which is, by all accounts, interesting) go rock the vote (the poll is on the right column of the page and down a little). (Credit goes to TyeDyeBoy for this one). The WCDC has moved to a new domain name: http://www.wcmods.com. They're also now hosting an affiliate program, for those you who need a WC sounding domain (err, and for some reason didn't get turned on by BlackLance.org's affiliate program). So it goes. Fun challenge, for those whose lives lack all meaning without the trivia game: go read the list of Kilrathi names in this thread and see how many more you can find. When we have 'em all, we'll put up a list right here at the CIC, and you'll all get credit. And a florin. A silver florin. Start preparing the arcane knowledge portions of your brain, the much missed CIC Trivia will return on Monday, October 30th! An all new trivia game will be started, giving everyone a chance! John Shiali of A Talent for War has written an interesting article titled The Death of the Space-Sim. Agree or not, it's will written and addresses issues important to anyone who's ever put hand to joystick. 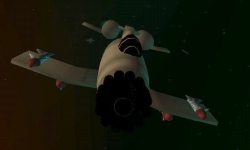 The WCDC posted more about the Flight Commander project... maybe it's the radioactive spider-bite talking, but there's something odd about this. Anyone who is interested is welcome to the source. But you also need 4 libraries (opengl, bass, sax, glut). It took me a while to get the think set up on my system. So the build environment is specific to my computer, and it would take a while to get a source download set up. Plus you'd need Visual C++. Anyone who really want to go throught he build process can email me. It would just be a lot of work for me to get it set up so you could build on anybody's computer. But the idea is, to make it so you don't have to modify the source code directly. Sounds, missions, ships, weapons, guns, even the game flow should be editable all by xml. Anybody who knows how to edit a web page can edit a ship or a sound or weapon. So hopefully people could edit the whole game with a simple text editor, without needing to rebuild the executable. Meson is hard at work mirroring the Wing Commander Academy realmovie files! You can grab what he's put up so far here. If there's anyone out there capable of mirroring some high resolution DIVX versions of Academy, please contact me. The Lancers Reactor has posted a model of the CF-117b Rapier, which you can import into StarLancer! You can get the model, by RubberEagle, here. The WCDC has posted an e-mail and a pair of screenshots regarding Eddie Berkowitz' Flight Commander project. Right know, I'm working on a Java Mission editor. This mission editor will feel like Thomas Bruchner's old misb tool. 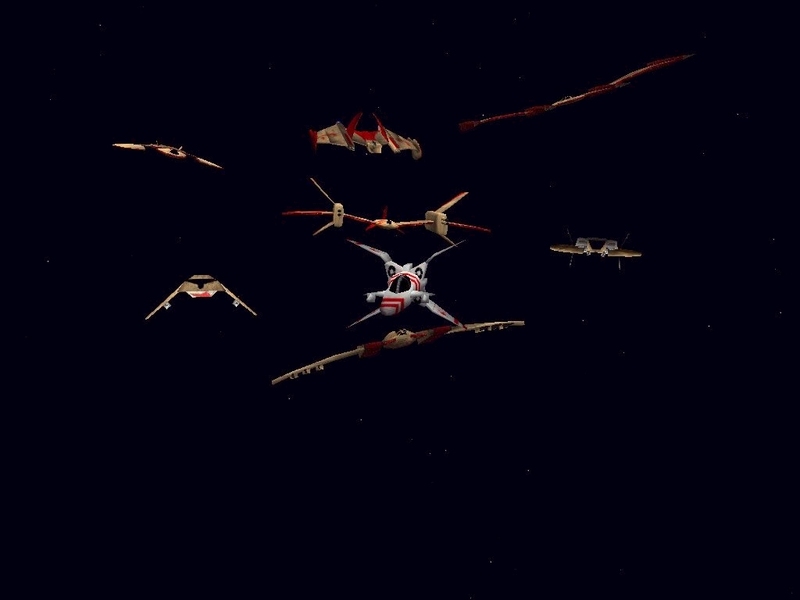 I've also added several new ships, including the Vaktoth, Dralthi, Hellcat, and the Shoklar. Also, I added new missile types. I've also gotten rid of several bugs. However, one small bug remains to be fixed. While surfing Bookshop.De, I noticed that Die Bedrohung is now set for a December 2000 release. German-speaking Wing Commander fans will be enjoying Action Stations in no time! 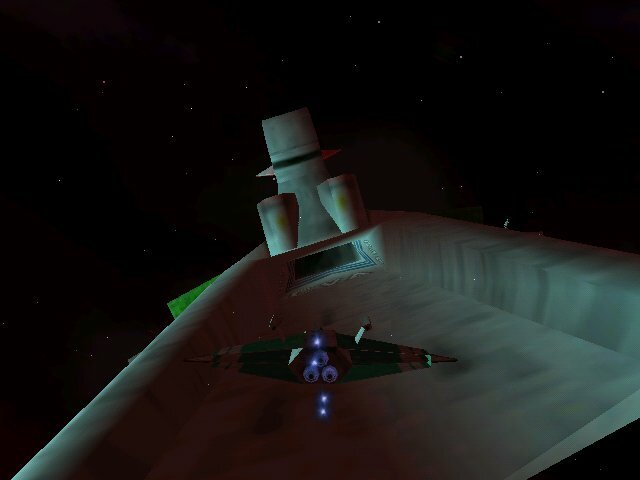 The Wing Commander Mod for FreeSpace 2 has created a downloads page, where they have posted various WC models and such. Keep watching for new ships. The Sivar-Eshrad is the most sacred Kilrathi religious ceremony in which all Sons of Kilrah who are able must report to the site of Holy Dedication chosen by the Priestess' of Sivar to sing the praises of Lord Sivar by offering sacrafices in battle. If the ceremony is performed properly the War God will favor the Warriors of Kilrah in battle for the next year. If not, they are doomed to be defeated by their enemies until the Pukcal. The Way of Lord Sivar may not be observed by non-believers. Longtime WC fan Maverick_^ has announced that he is leaving the WCDC, which he helped create. He is replaced by WildCat -- who has already enacted a new design for the site. In addition, ShadowLight has left the Vault Network, including his Digital Anvil news sites, SLVault and FLVault (formerly Lanced.Net). Shades reports that SETI@home 3.0 is out -- grab a copy and join the CIC's SETI@home Team. The computer game, Wing Commander 2 by Origin Systems, took the world by storm with its revolutionary game play and amazing technological advances in graphics and sound. The game was able to make full use of Sound Blaster technology to, provide, for the first time in gaming, digital speech in-game. Characters talk and gamers hear, instead of reading subtitles. The world, as they say, was never the same again. Here's a press release about Peter Telep's upcoming appearance at the Red Planet premiere. It's from Peter Telep's Official Site... where else? Orlando, Florida, November 10, 2000: Author Peter Telep will be at the Regal Cinemas, Waterford Lakes 20, 541 North Alafaya Trail, Orlando, Florida 32828 (407) 207-4603 on November 10, 2000 from 7:00 p.m. to 10:00 p.m. Regal Cinemas will have copies of Red Planet supplied by Barnes & Noble and you can also bring your own books written by Peter and have him sign them. 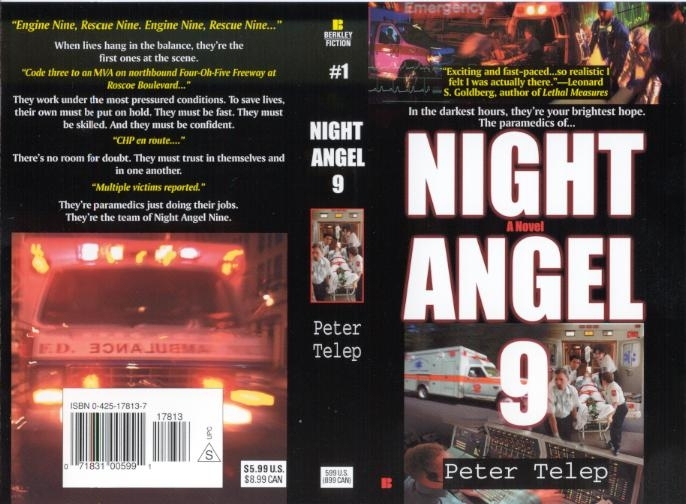 Peter Telep, a professor at UCF, has written many books including the novelization of the movie Wing Commander, and Wing Commander: Pilgrim Stars. He has also written a novelization of the popular PC game Descent from Interplay Productions and written two sequels in the 3-book series: Stealing Thunder and Descent: Equinox, which was released October 1999. Peter has also written novelizations of the TV show Space: Above and Beyond and several other original novels called the Squire series. Aaron Skinner, who is the Promotional Manager at Regal Cinemas, Waterford Lakes 20, 541 North Alafaya Trail, Orlando, Fl 32828 407.207.4603 will be hosting Peter Telep’s booksigning at the premier opening of Red Planet. ...not just an Ultima Online Europe Faire, but an Ultima Online World's Faire! Anyway, the big question is -- are there any WingNuts out there who lead secret double lives as UO players? And if so, are any of you going to the Worlds Faire next month? Thanks to the fact that Joe and Paula are far too kind, yours truly will be there -- if any of you will be in Austin, let me know and we'll get together and play Armada or something. 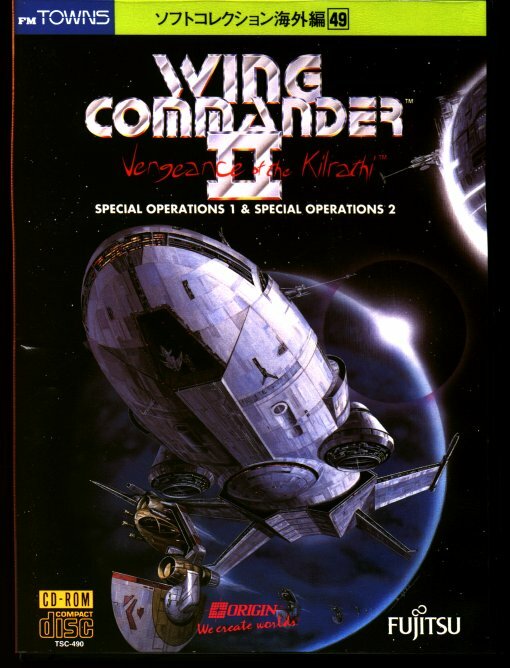 Remember that Polish Wing Commander article in CD Action that we reported on back in June? Didn't think so. Luckily, Earthworm did... and he's scanned a copy for us which he picked up while in Poland. You can also read the translation here. Arm't You Glad It's Back? 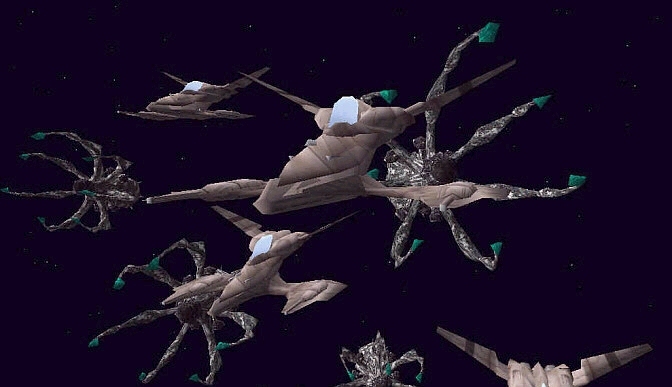 The Wing Commander Invasion mod for Star Trek Armada is back! Check it out at its new location: http://www.wcinvasion.net. What's cheaper than a plug for the CIC Store? 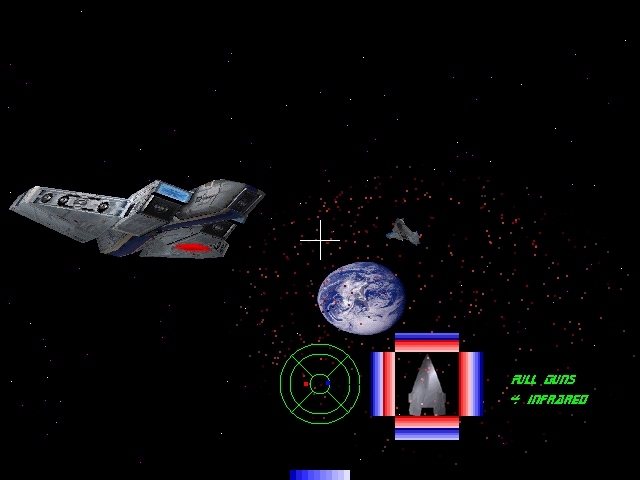 A plug for things that have very little to do with Wing Commander, of course! 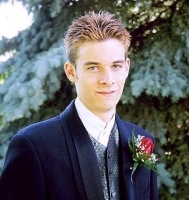 Anyway, CIC staffer Brandon "ace-1" Strevell has posted two albums to mp3.com. So, whether you like classical music or you need some cheap CDs to make it look like you own more CDs than you actually do, check it out. 3D Artist - Preferably familiar with 3DS but not neccessary to contribute to mission pictures (Hadrian is handling the splash screens etc). Voice of Pilot - Ok so we're not using full speech in UE anymore but we can't really use Casey (or his cheap replacment). Contact him if you can help! WCDC, in accordance with the new official process for producing fan projects, has posted an update on Thomas Bruckner's WingED (a Wing Commander EDitor) -- apparently progress is being made, and we should expect to see results within twelve months. 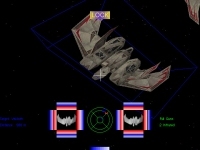 The Wing Commander Aces Club's hub site, AceNet Central, has moved to its own domain -- http://www.wc-aces.com. 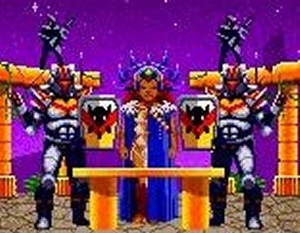 The Aces are the internet's vanguard Wing Commander RPG & PBM club -- like the WCSC, but with 'members'. You Deserve a Fan Project! 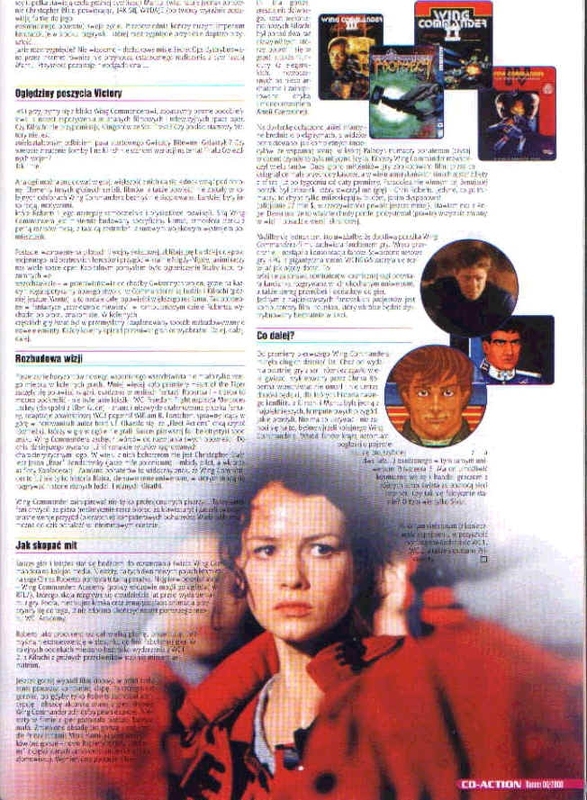 #WingNut regular Capsule has submitted the following article: The Wing Commander Combat Information Center's Guide to Making Your Very Own Fan Project. And while writing that nasty letter, please remember that we're making fun of ourselves, too. Peter Telep will be present at Sci-Fi City Presents tomorrow from 12 to 6. Read more about it here. The WCDC has posted these two images from someone named Eddie Benowitz who is apparently working on a Wing Commander-esque fan project with some rather recognizable spacecraft. William Forstchen, author of six Wing Commander novels, has written a ninth book in his popular Lost Regiment series. 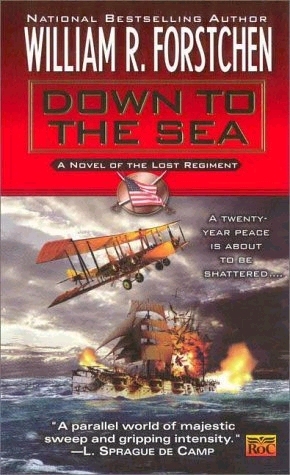 Expect the new book, Down to the Sea: A Novel of the Lost Regiment, to hit shelves December 12th, 2000. CICCZ naysayer Dralthi5 points out a review of Star Trek: Invasion at Gamespot, which compares the PlayStation shooter to Wing Commander. Go forth. Any eligable programmers out there? Anyone familiar with Klingon Academy? Head over to Wing Commander Kilrathi. Contact the project head here. Want a genuine Wing Commander Movie press kit, just like the agents to the movie stars have? Well, look no further than the Nostalgia Factory (Ooh, I remember 1999!) where you can buy them in 1 still, 3 still and 7 still varieties. Probably makes a great gift for that special someone! 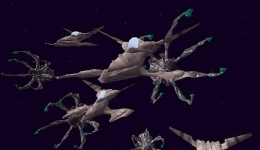 Voidsurfer has put back up the model archive downloads section of the Fleet Action website. The models are in *.MAX format, and some have textures. Expect conversions in the future. 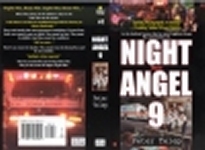 Peter Telep sends along the cover to his next novel, Night Angel Nine -- due for a January 2001 release. Noted webmaster Richard Bowden has created a Red Planet novelization screensaver for Peter Telep. Grab it from Telep's official site. Peter Telep will be attending the premiere of Red Planet at Regal Cinemas - Oviedo Marketplace 22 in Oviedo Florida on November 3rd. For more details check his official site. Peter Telep will once again be attending Geektoberfest at Sci Fi City. He'll be signing autographs and such from 12 to 6. Read more at his official site. COCKPIT COLLECTION LTD. CHANGES NAME TO CONTROL ZONE INTERACTIVE LTD. AND ENTERS INTO REVERSE TAKEOVER AGREEMENT WITH CDNX LISTED PACIFIC STRATUS VENTURES LTD.
VANCOUVER, BC - Cockpit Collection Ltd. today announced that it has changed its name to Control Zone Interactive Ltd. to reflect the company’s strategic development plan for it’s Keyboard Control Cover line of products. On September 20, 2000, the company entered into an agreement with Pacific Stratus Ventures Ltd. (PVL), a Canadian Venture Exchange (CDNX) listed public company in which PVL will purchase all the issued and outstanding shares of Control Zone Interactive Ltd. (CZI). The proposed acquisition of CZI by PVL will result in a reverse takeover (RTO) of PVL upon regulatory approval. An equity financing by way of a private placement will also be completed for a minimum amount of $1,000,000 on or prior to the closing date. Canaccord Capital Corporation (Canaccord) is acting as Corporate Sponsor. Control Zone Interactive Ltd. (CZI) is a local Vancouver company, founded in 1997, for the purpose of commercializing a unique and proprietary product that enhances the users’ experience for many of the most popular computer games in the market today. The product, known as "Keyboard Control Covers", consists of a series of graphically enhanced computer keyboard covers that are protected by design and utility patents and applications. Keyboard Control Covers are made from a soft elastomer thermoformed skin using a patented mold and fit over 90 percent of rectangular keyboards on the market. The skin is printed with highly detailed text and graphics, which are positioned exactly above the appropriate keys and allows the player to enjoy the game without flipping through game manuals or templates to find key commands. CZI currently has over 20 game titles of the most popular PC flight simulation games and plans to expand with a new title every two weeks. Future releases will include action, adventure, strategy, role-playing and children PC games. Early in 2001 CZI plans to rollout a brand new line of keyboard covers for office software suites and later intends to launch a line of training and custom order, industry specific applications. The overlays can be purchased today online at Outpost.com, Chips & Bits Inc, PC Aviator (Australia & USA) and Simware in Belgium. The Wing Commander SubSpace Mod now has a web site, which is currently located here. Expect to see it moved to www.wczone.net soon. As Blizzard takes its first steps into non-game media, the biggest concern for everyone I spoke with is quality. 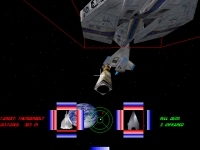 The big-screen disaster "Wing Commander" -- based on a popular computer game series -- was brought up by several Blizzard staffers as an example of what they would not want to have happen. Jumper reports that Origin has finally replied to the oft-delayed and much-maligned WCESRP letter... see below. Quoth Steve Goodman, no big surprise. Thanks for your interest in the Wing Commander games. It's always a pleasure hearing from the people who play our games, especially when it comes from a group that's clearly as passionate about a game as you are. Unfortunately, Origin is not able to honor your request to release the Wing Commander source code. Your letter was very clear in its intentions and you made some good points, but ultimately Origin and our parent company, Electronic Arts, have a clearly stated policy to protect the companies' intellectual properties. 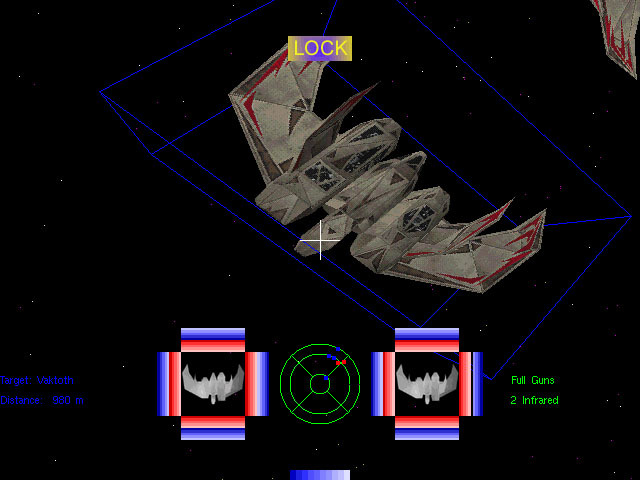 Releasing source code for any game would violate that policy and could have implications on launch strategies for the release of any future Wing Commander products from Origin and Electronic Arts. Thanks for writing. We hope you'll continue to have an active interest in our products. 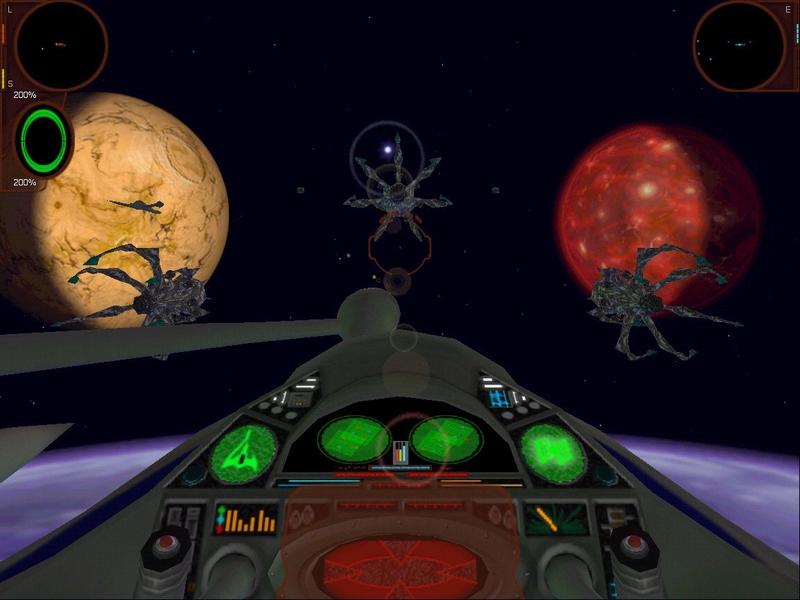 Everyone loves a good Freelancer preview... especially when they bring up our favorite subject, Wing Commander. For something along those lines, check out this one at ActionTrip. It also has the virtue of asking the ever-important question: Is that Saturn? 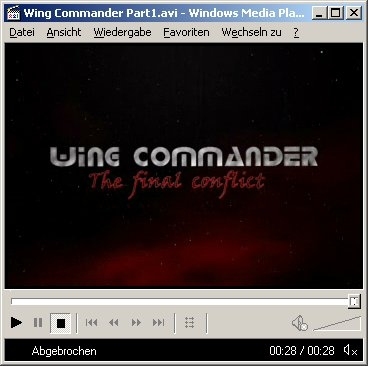 DVD Box Office now has a downloadable preview video for the Wing Commander Movie. You can access it via their Wing Commander page here. Peter Telep's newest book, Red Planet, was released today! A short review will follow in a few days... expect some delay, as the next Dune book - House Harkonnen - came out today as well. Filler reports that the Wing Commander SubSpace zone is well under way! He's looking for 3D modellers familiar with texture mapping to assist in the project. Want to help? Write the man here. I have a game from the early 90's (seems so long ago now) called Echelon, it was an early flight sim in which you flew a spaceship around on a planet searching for alien artifacts. I'm not sure, but the new one seems to be a sequel or a redone version. After much hard work and perseverence, noted anti-Iliad activist TC has completed an HTML based version of Wing Commander's infamous Claw Marks manual! Thank Sivar, since I gave my copy to Lisa. Bad, LOAF, bad. Check it out here. When electricity fails and death takes the only human capable of navigating the complexity of a faster-than-light jump, the only choice for this lost ship's crew is flying blind in hyperspace. And — just maybe — flying blind is the desperate crew's hope, as well. You can find out more, as well as listen to the actual story here at SciFi.com.